Reims-Cessna F 337F C/n 01353.0031, F-BSIZ. 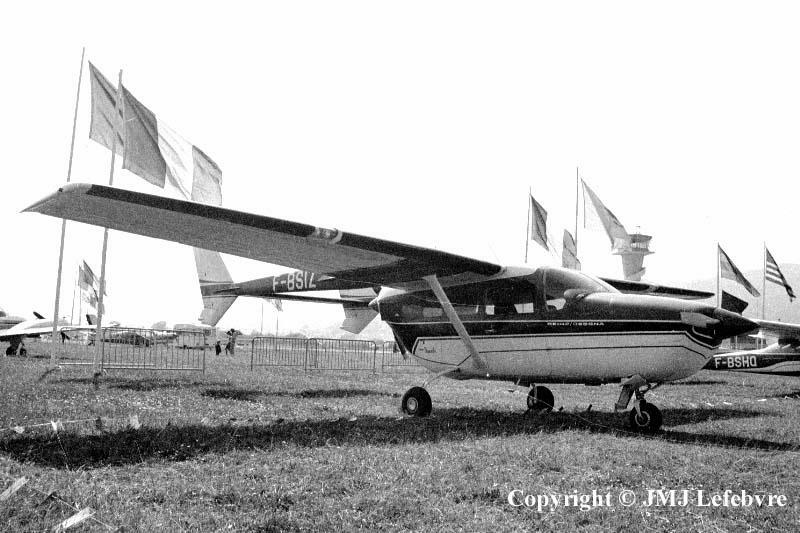 The latest version of the twin-boomed twin-engined Super Skymaster was the Reims-Cessna F 337F. Here C/n 01353.0031. I had a particular attraction for this all-metal four-six seater due to its interesting push-pull configuration I discovered earlier when studying the famous Dornier Do 335 for papers and later I reworked it for a monograph destined to become N°335 in the famous Profile Publications series. All was ready, Pierre Endsleigh-Castle had done the Art Work, probably Richard Ward had ended the colour profiles' page and the Company collapsed just a few time before the work went to printers. Sure, it was a big deception for me. More amusingis that the Cessna model received first the 336 type number...and I always have to solve an enigma about an American Army report of 1945 indicating that one of the Dornier Zerstörer was taken at a Rheims airfield before to be disasembled and sent to USA. Possibly it was the French airfield of Reims where Reims Aviation was established many years later or the München-Riehm name was wrongly translated; it was a Luftwaffe airfield in Germany where it was quite probable to find several Do 335s but this zone was under control of French Army troops and permitted to France the picking-up of many aircraft for technological and flight studies of Dornier aircraft such as 335s in various versions, Heinkel machines of which several He-162s and a little number of Me 262s and 163s, among other prototypes.